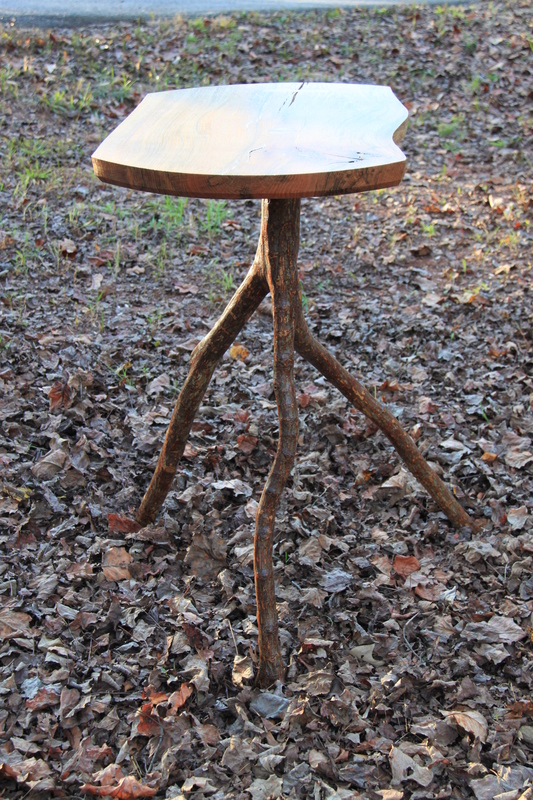 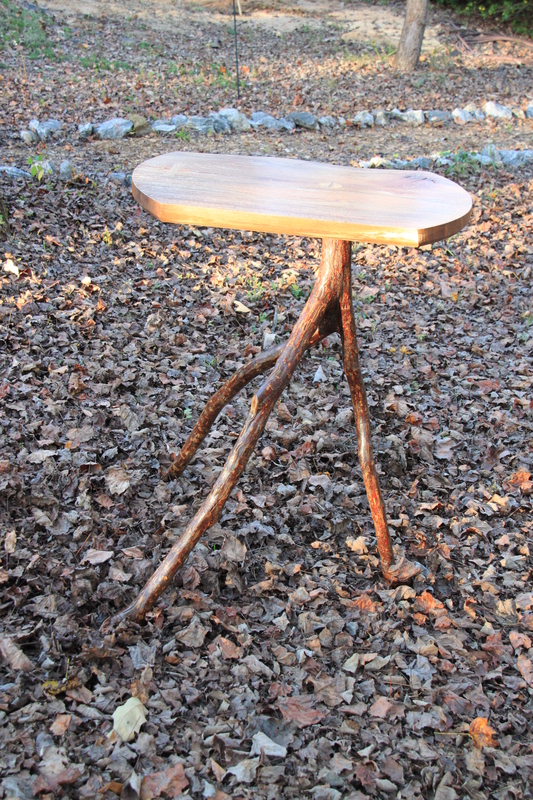 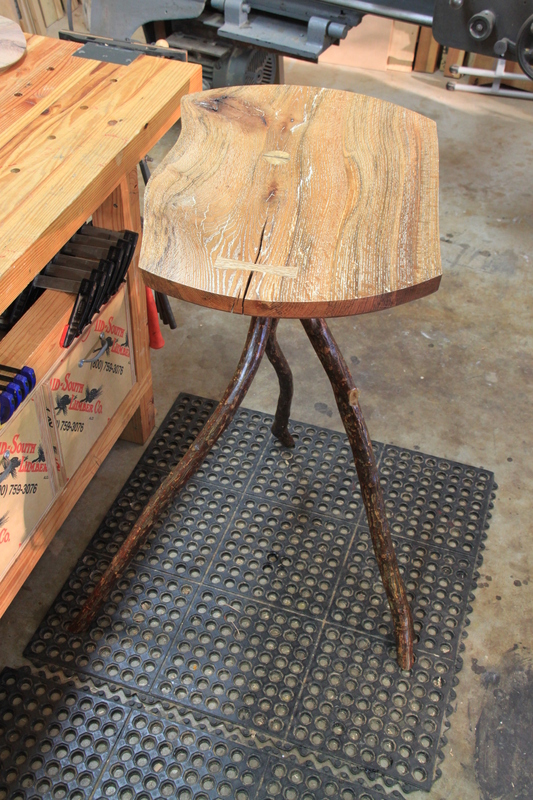 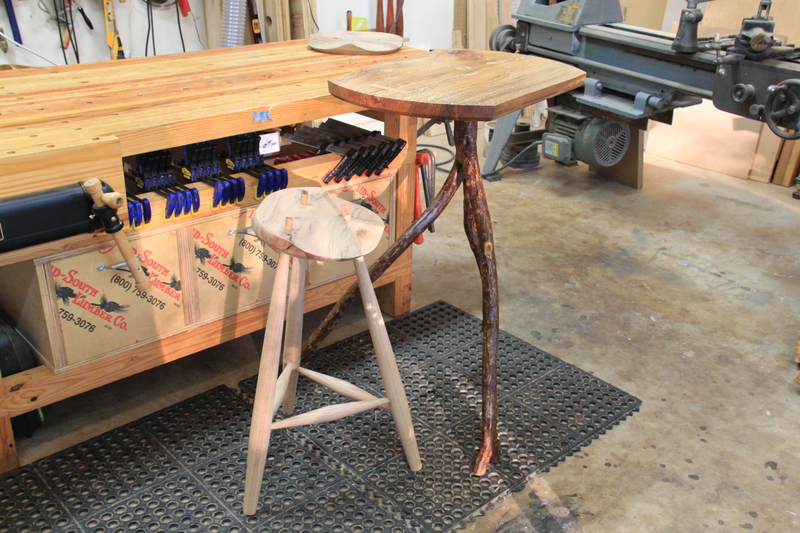 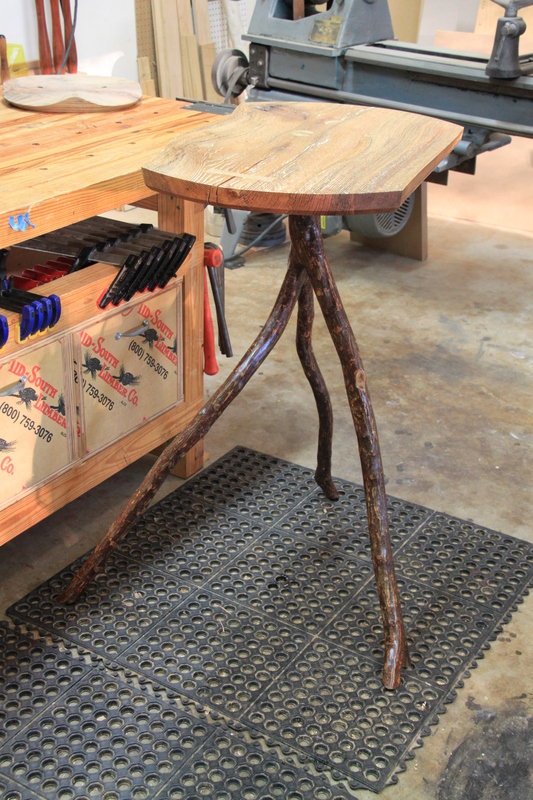 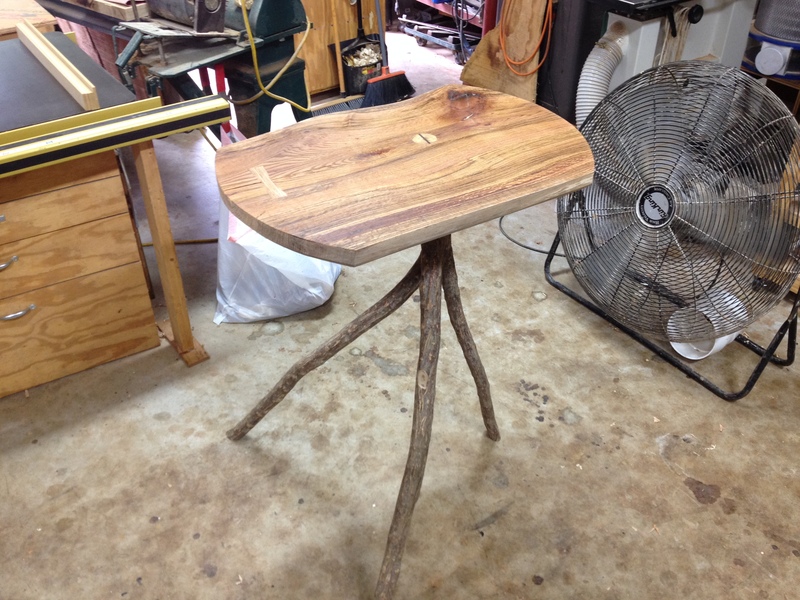 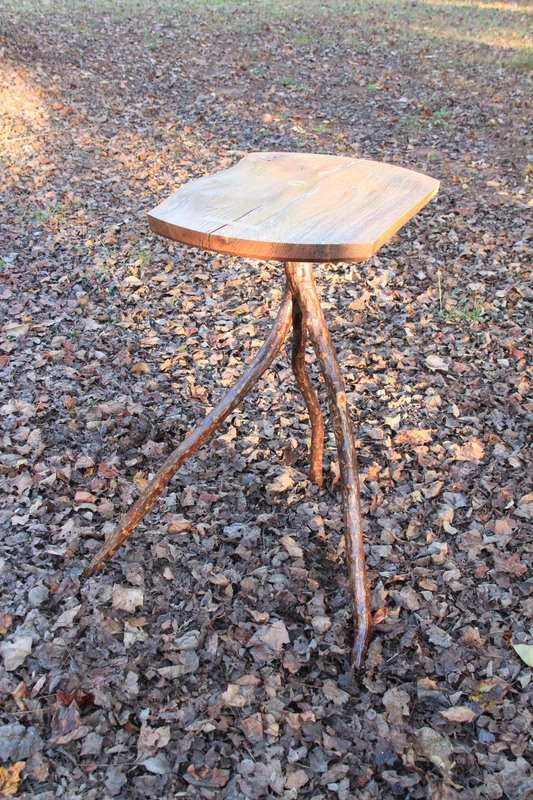 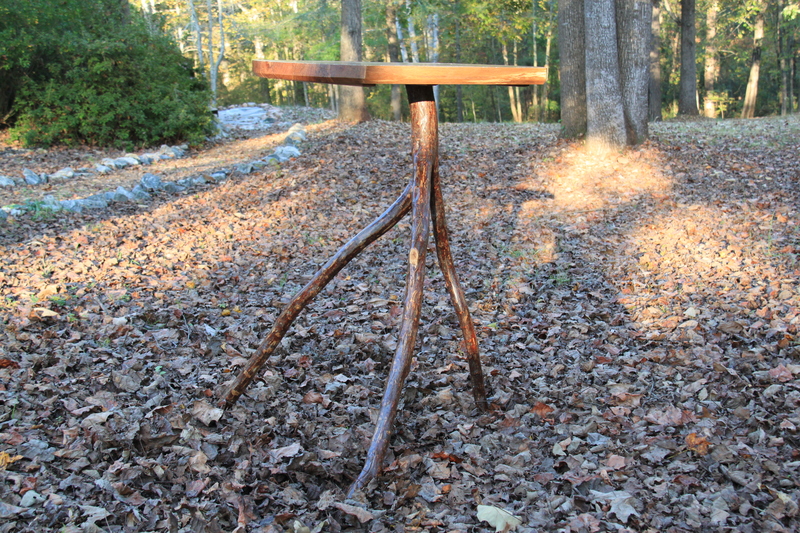 I don’t really know what to say about this table but it’s got great legs. 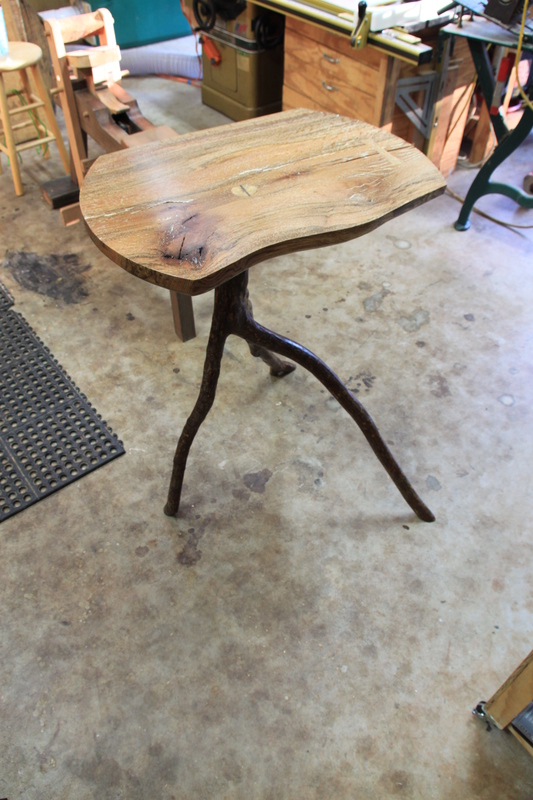 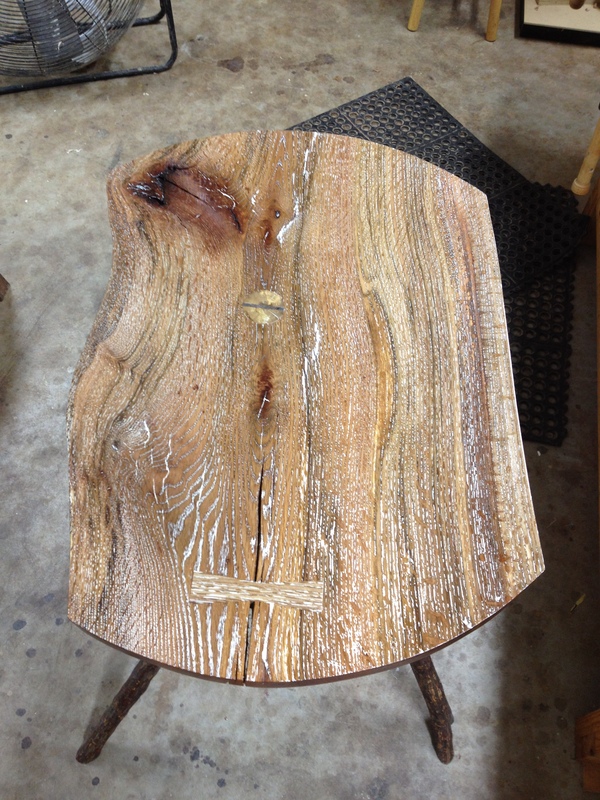 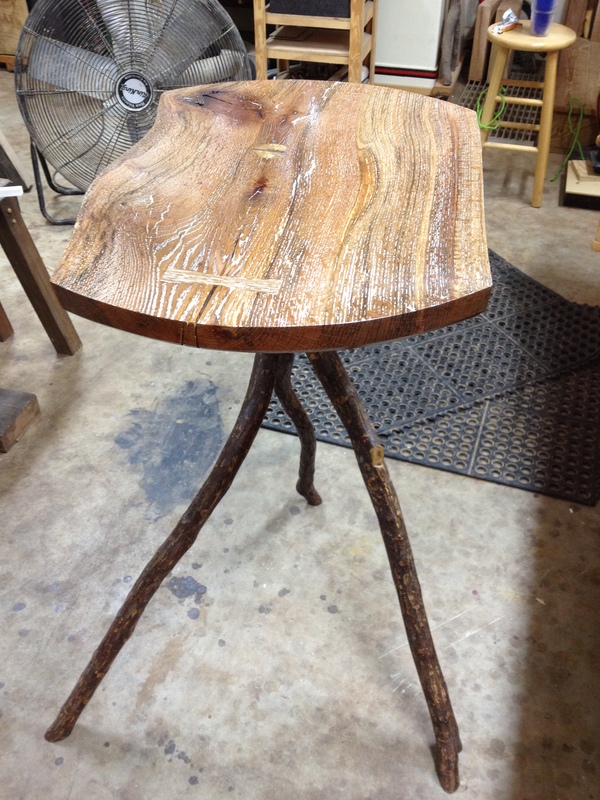 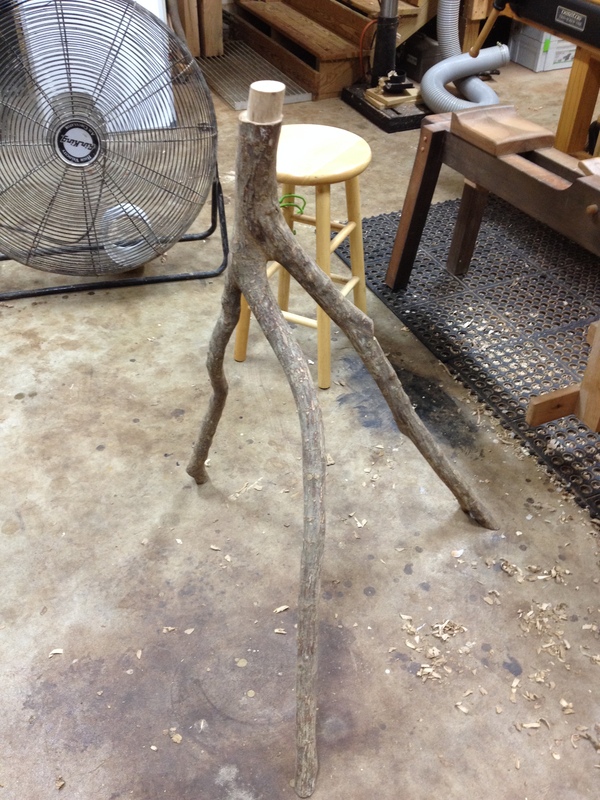 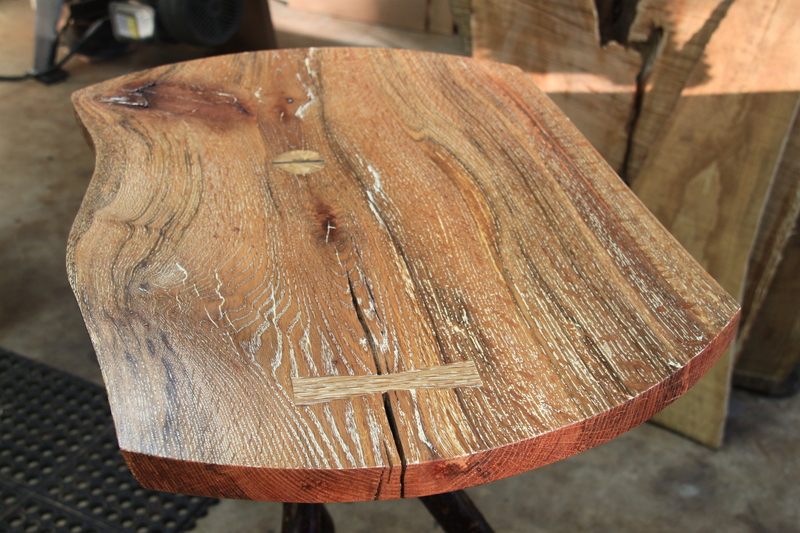 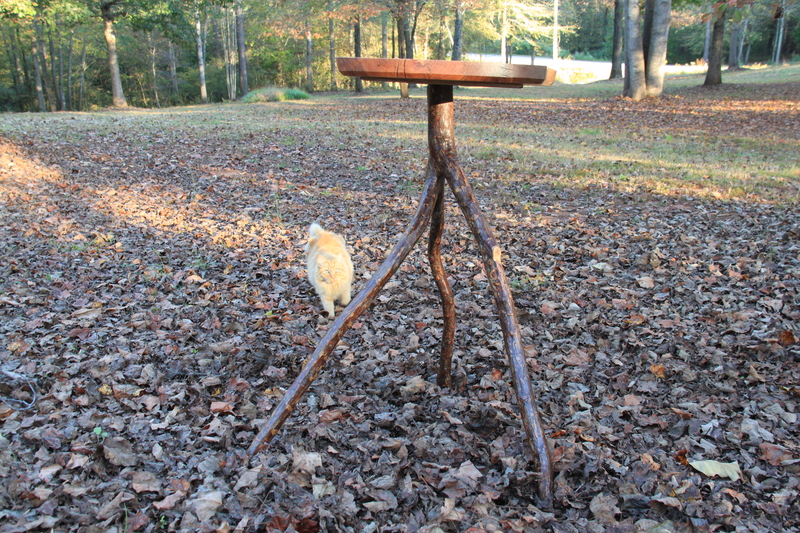 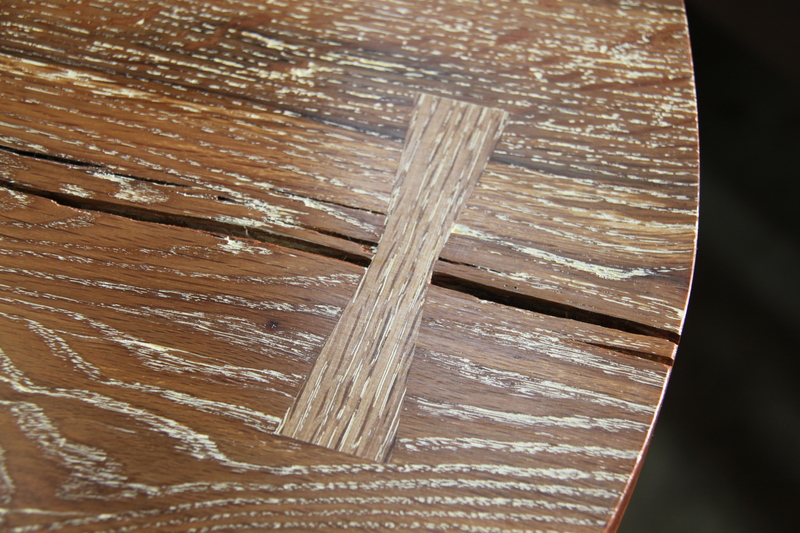 All kidding aside I love finding naturally shaped legs for my furniture. 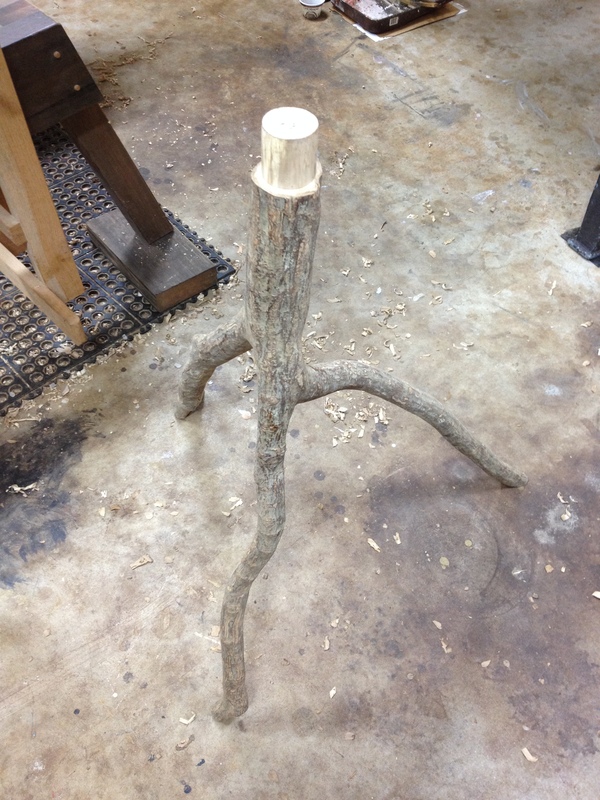 It’s like a moth to a flame for me. 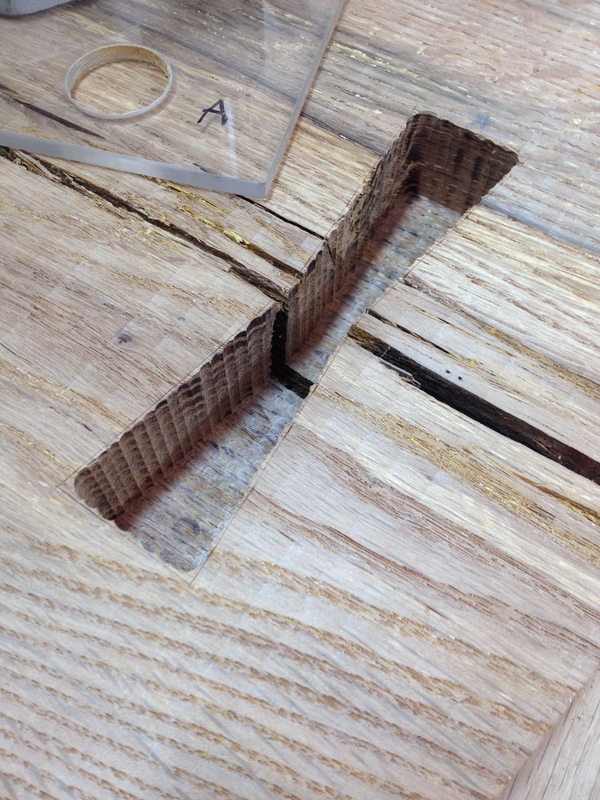 Pretty straight forward construction process. 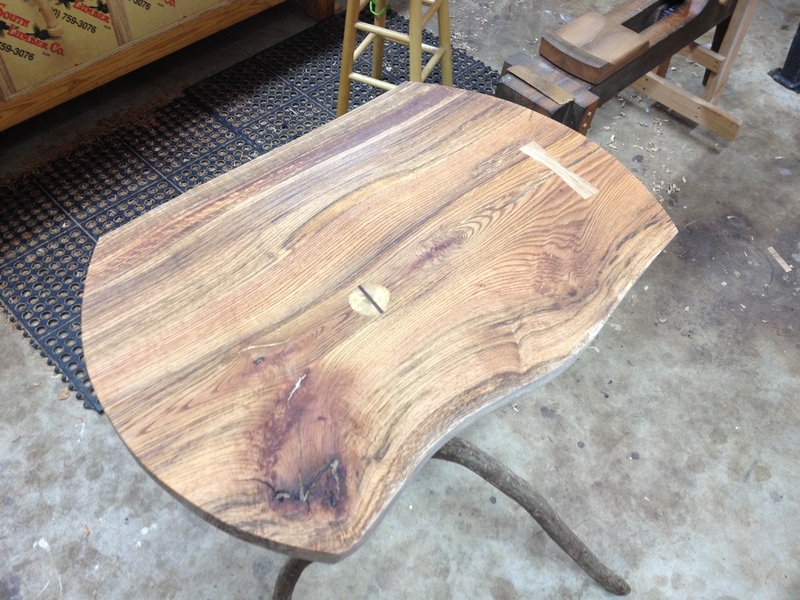 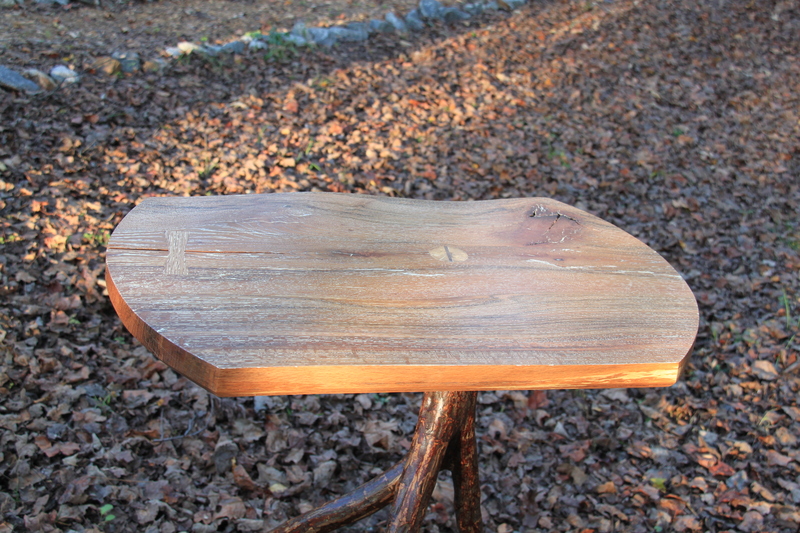 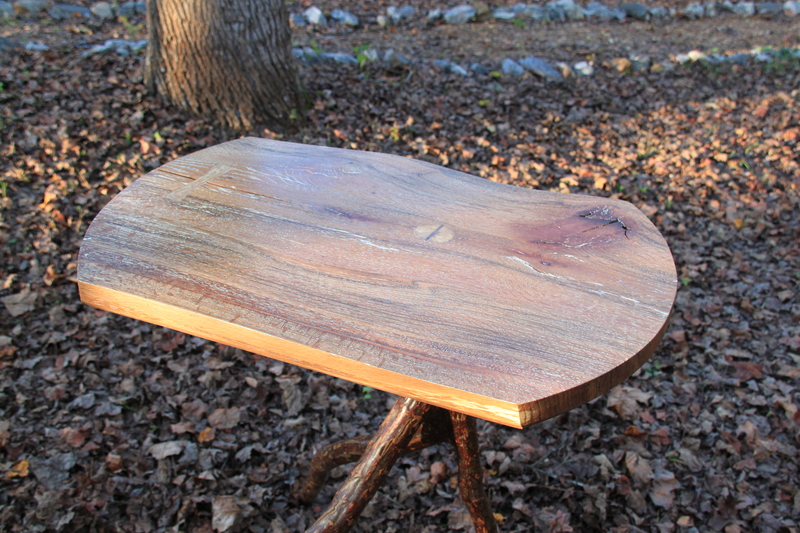 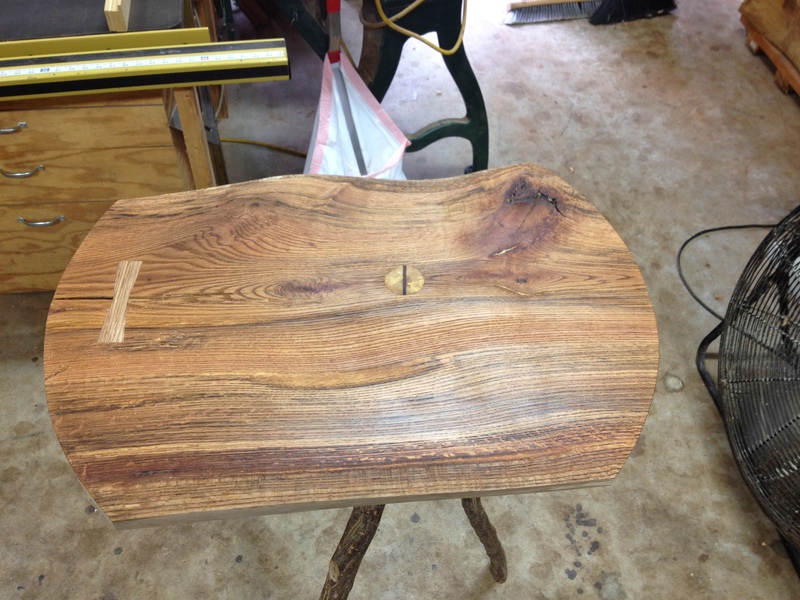 I use stiffeners to keep these wide tops stable and flat as you can see in the photos. 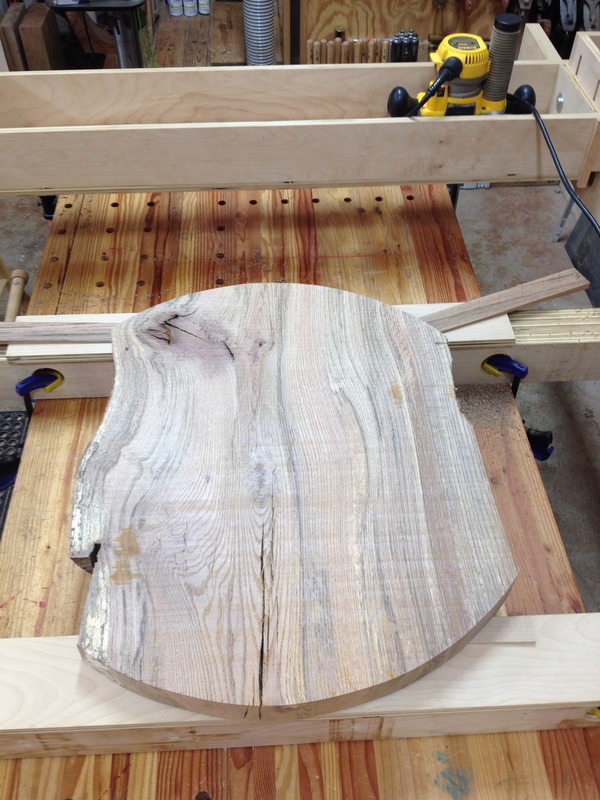 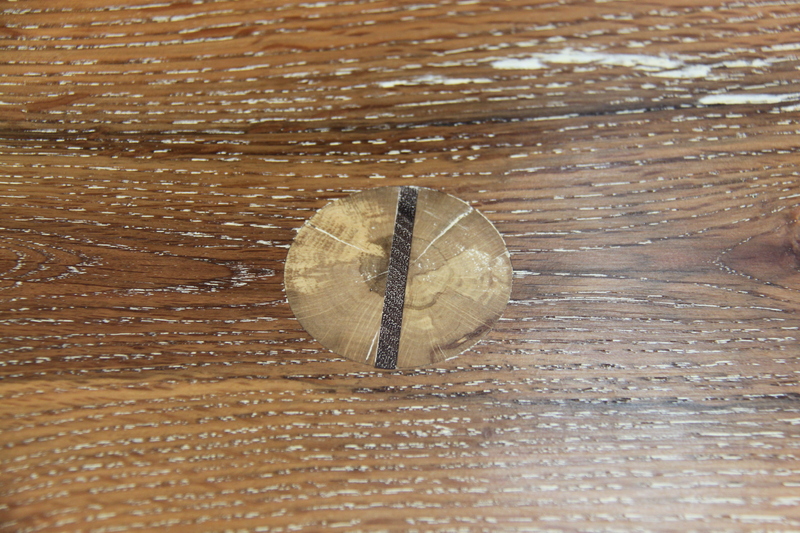 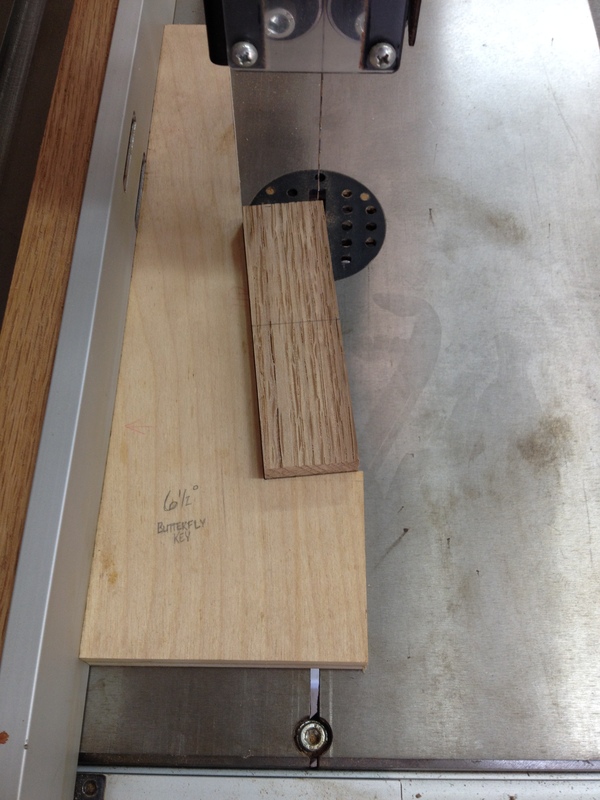 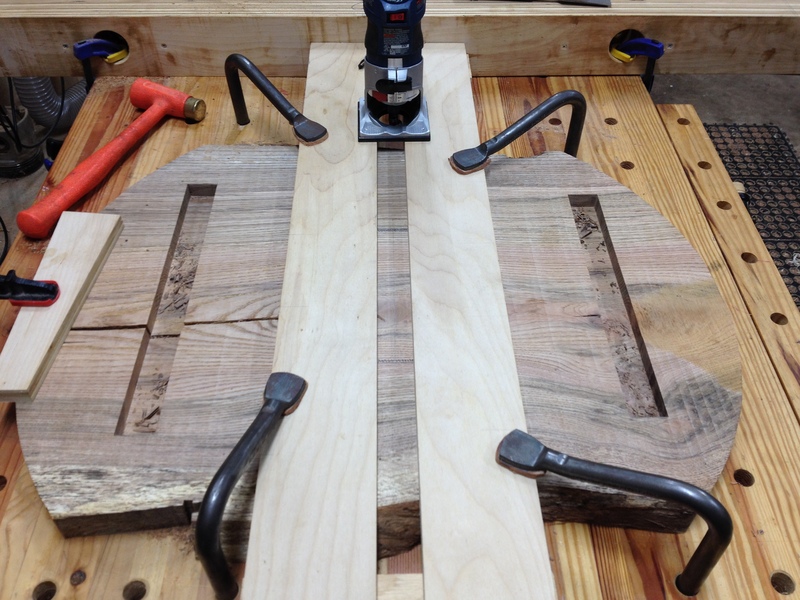 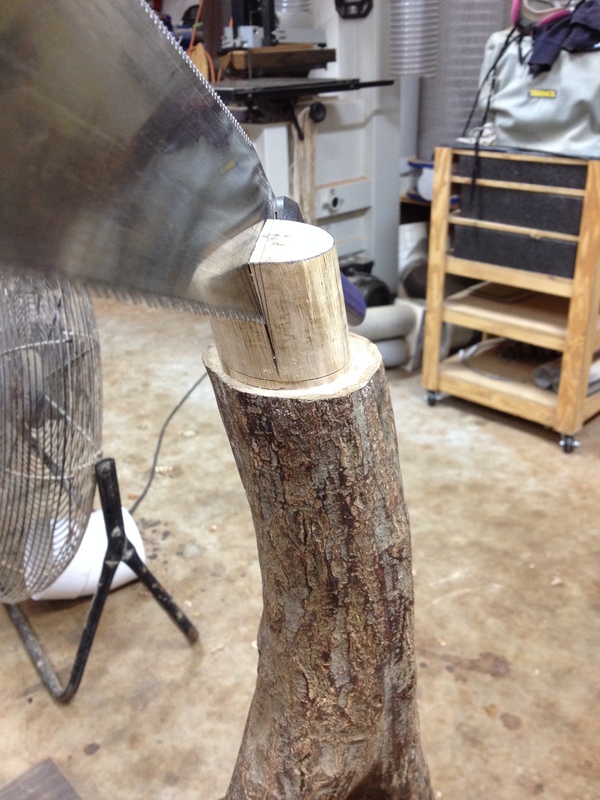 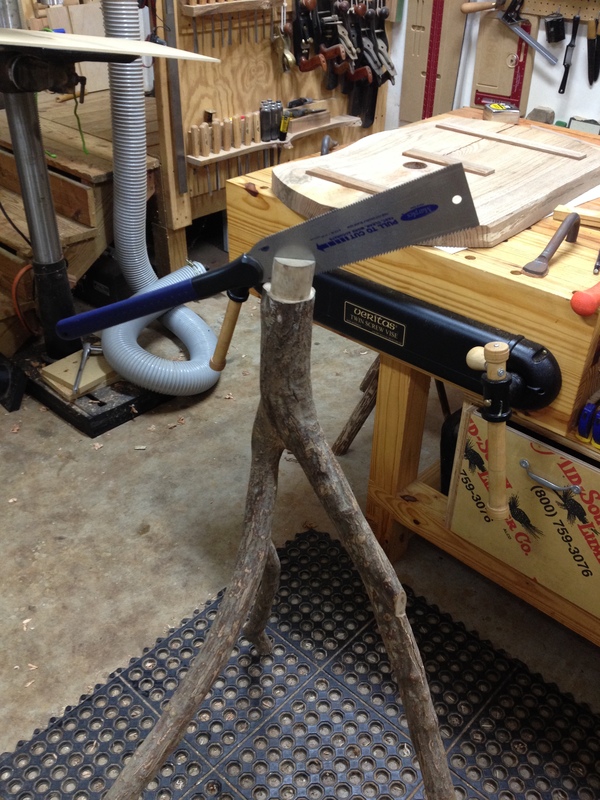 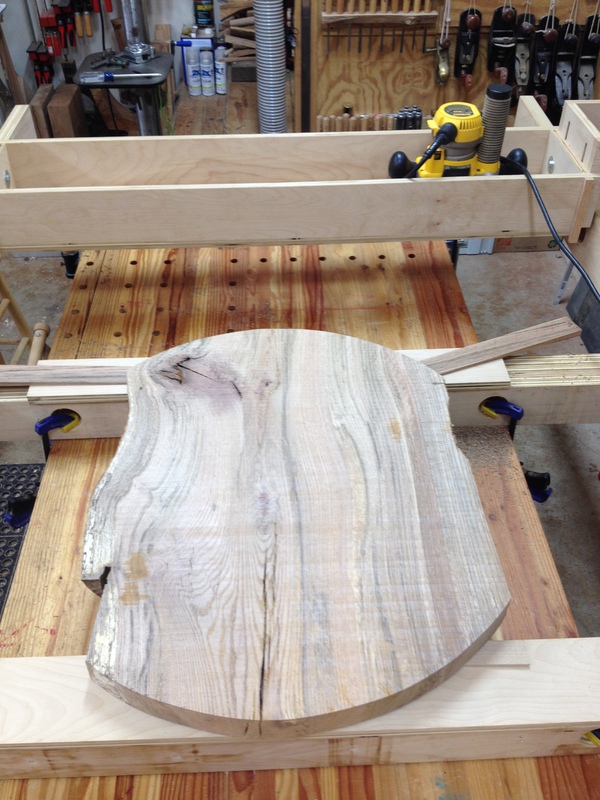 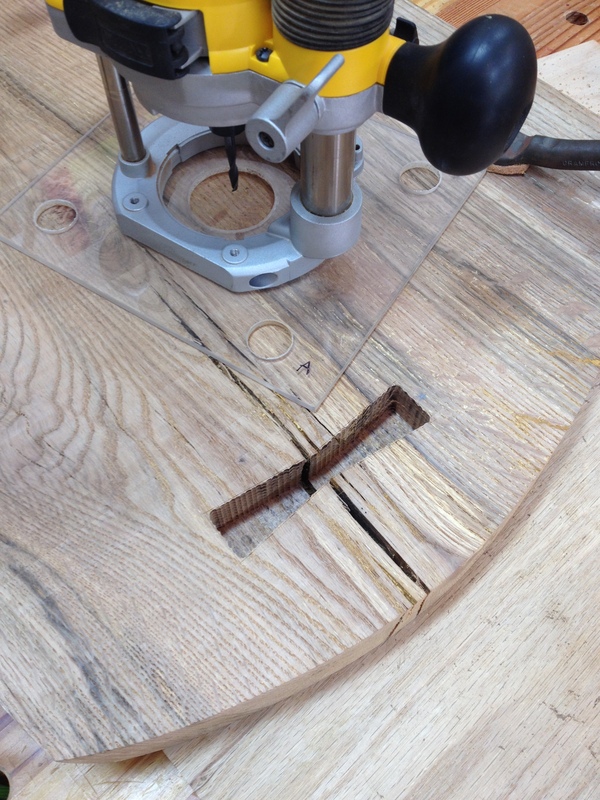 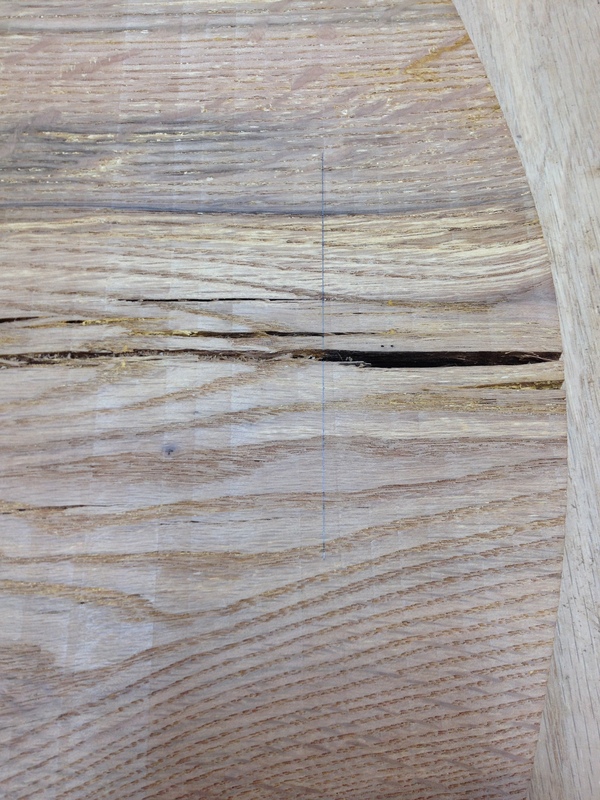 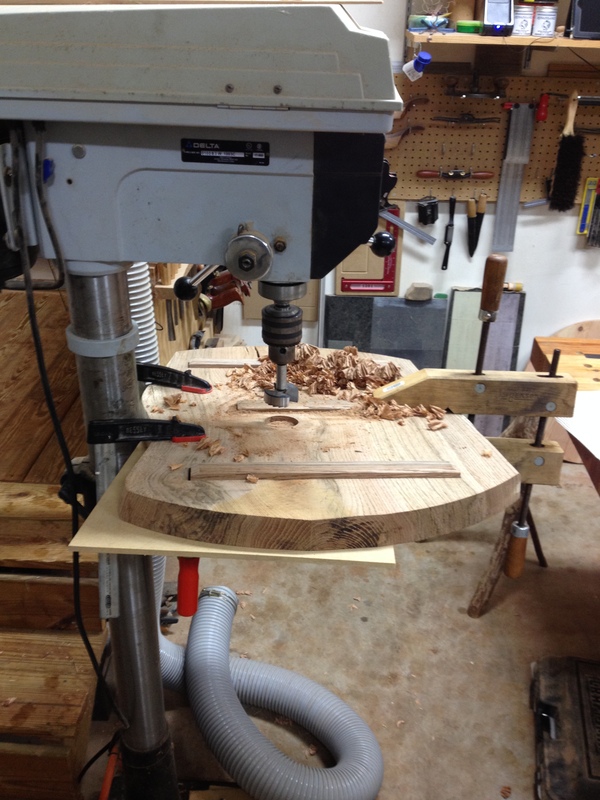 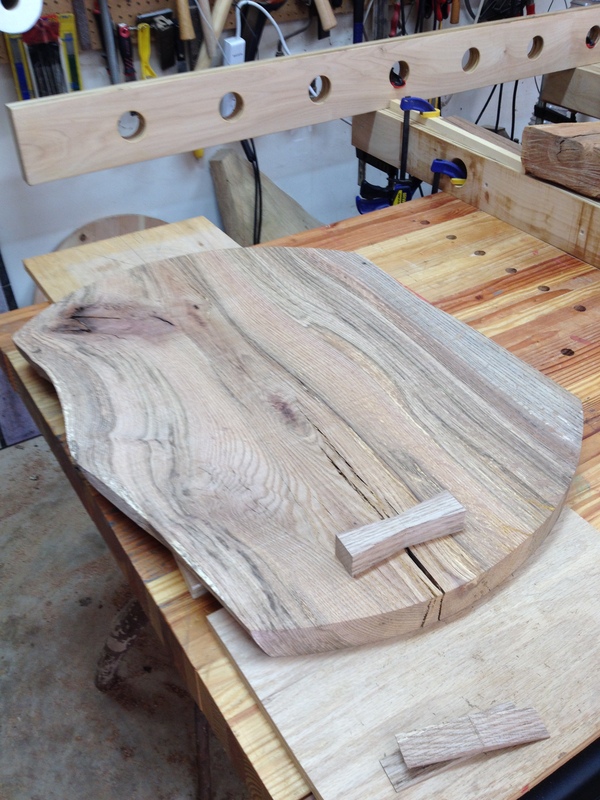 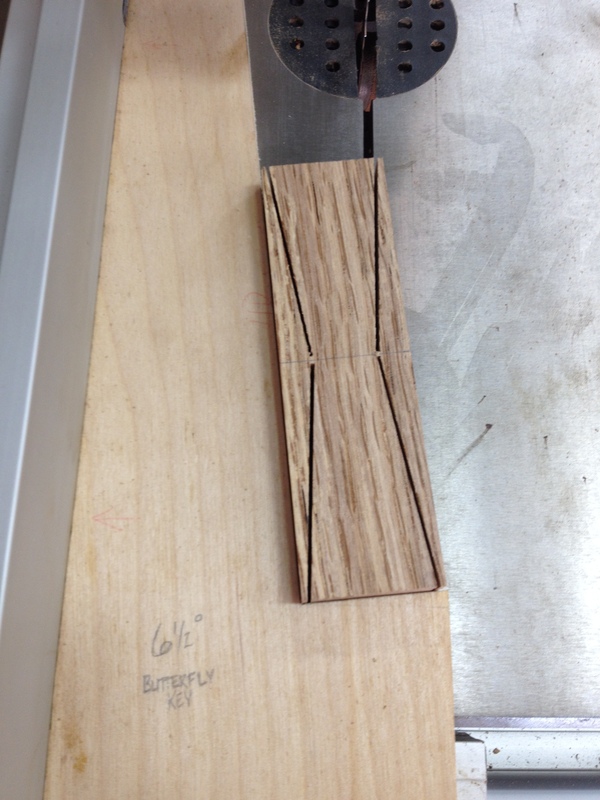 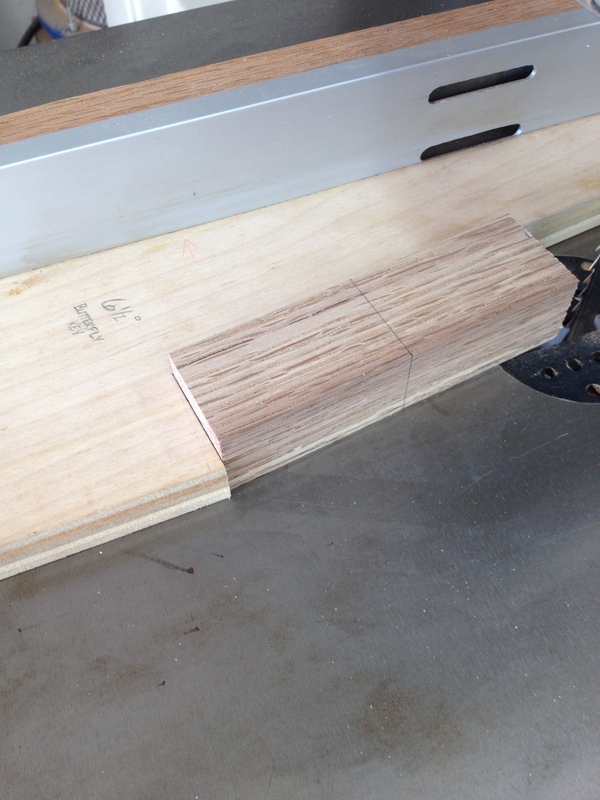 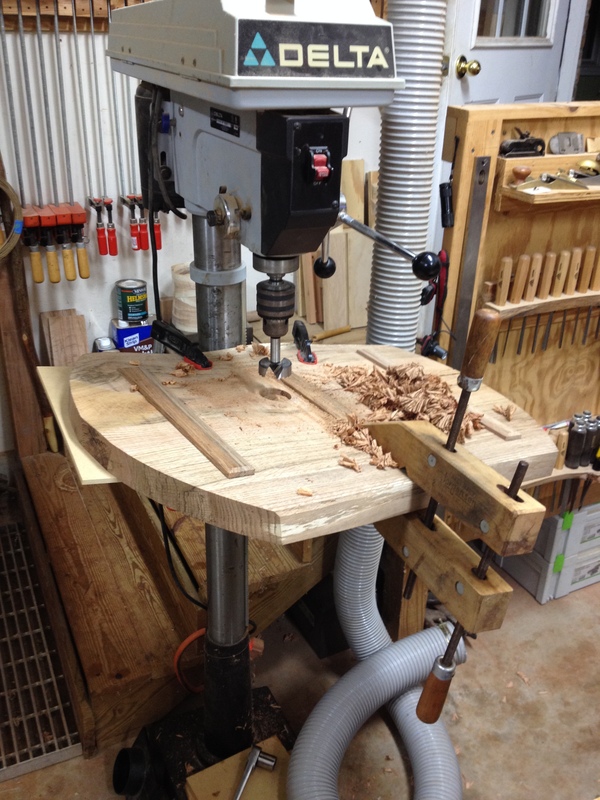 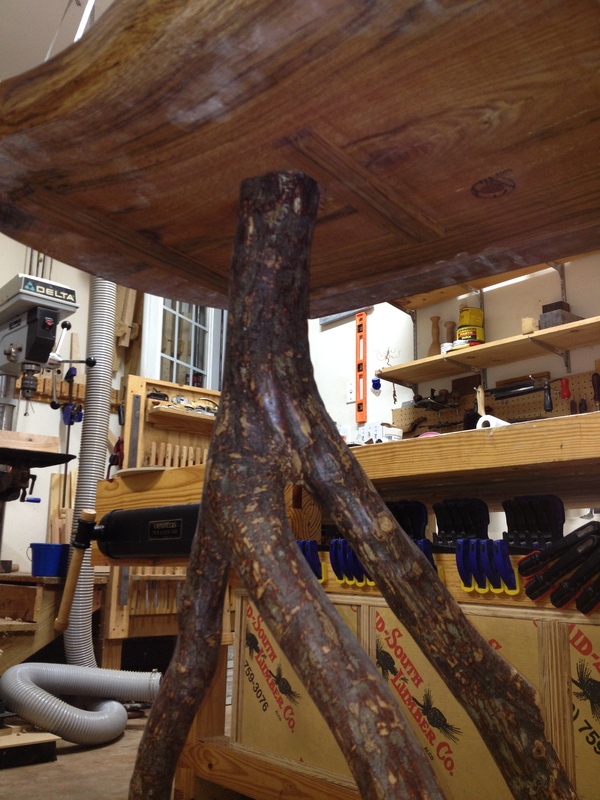 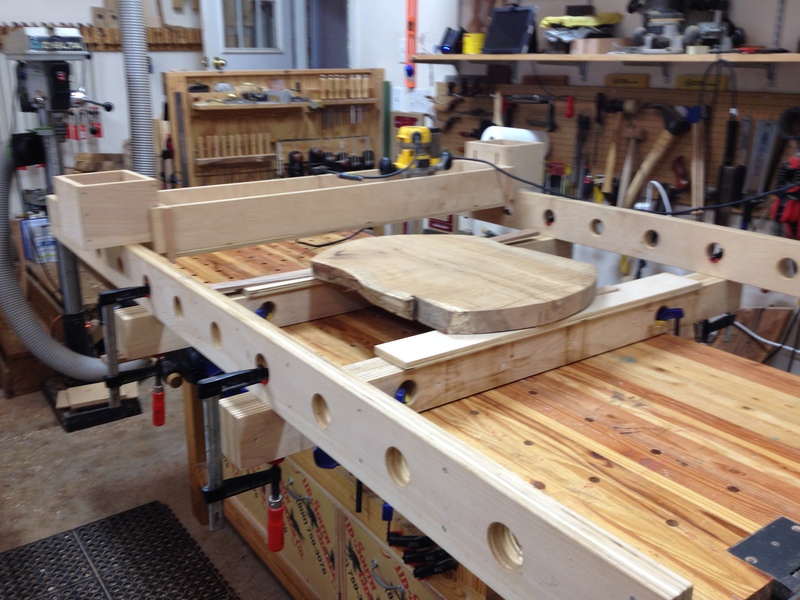 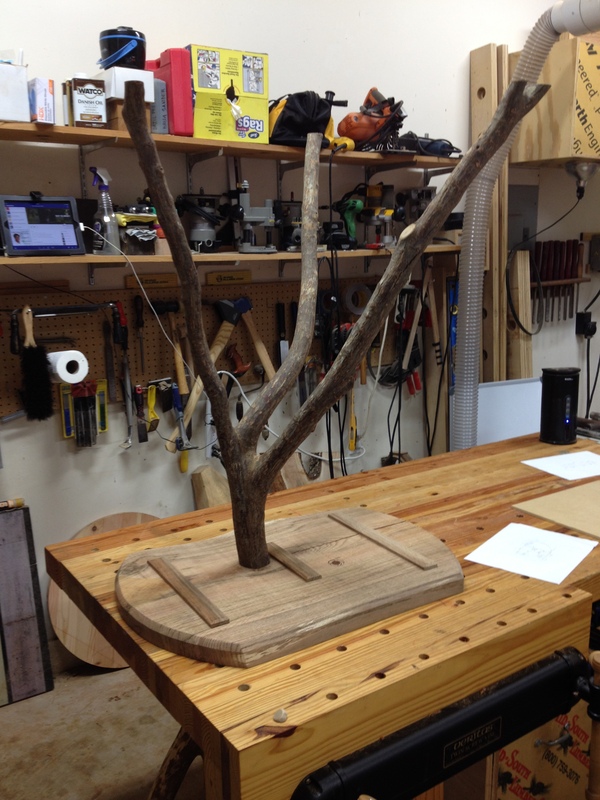 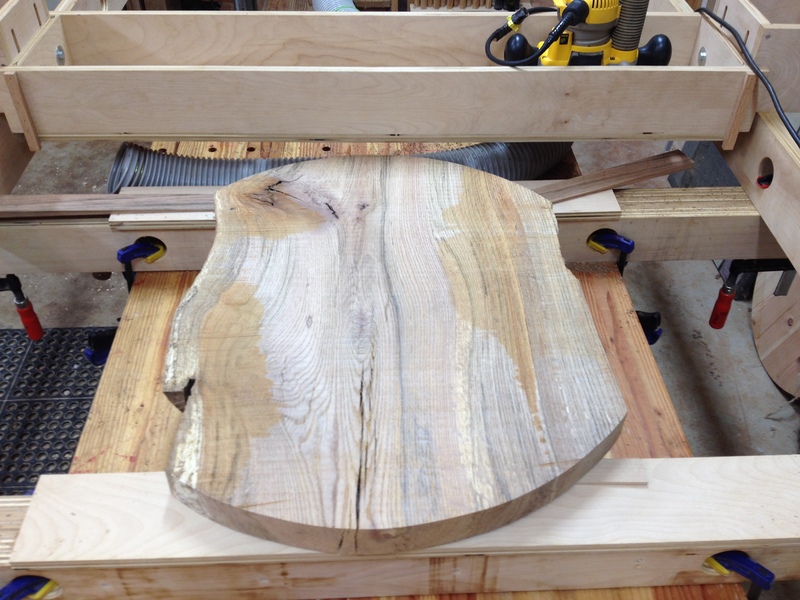 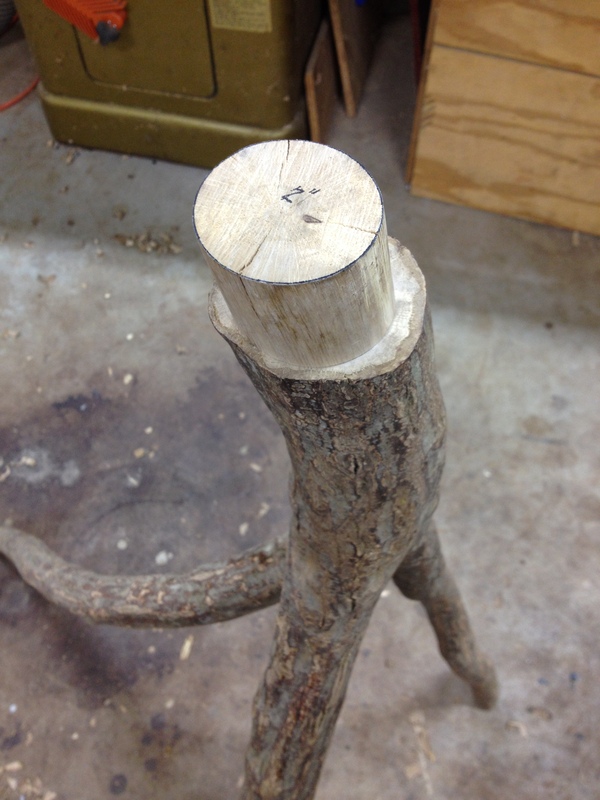 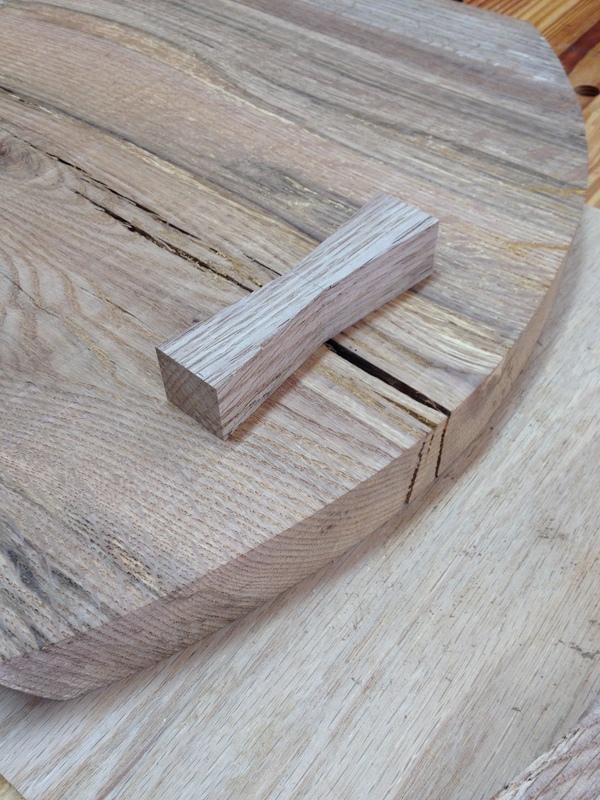 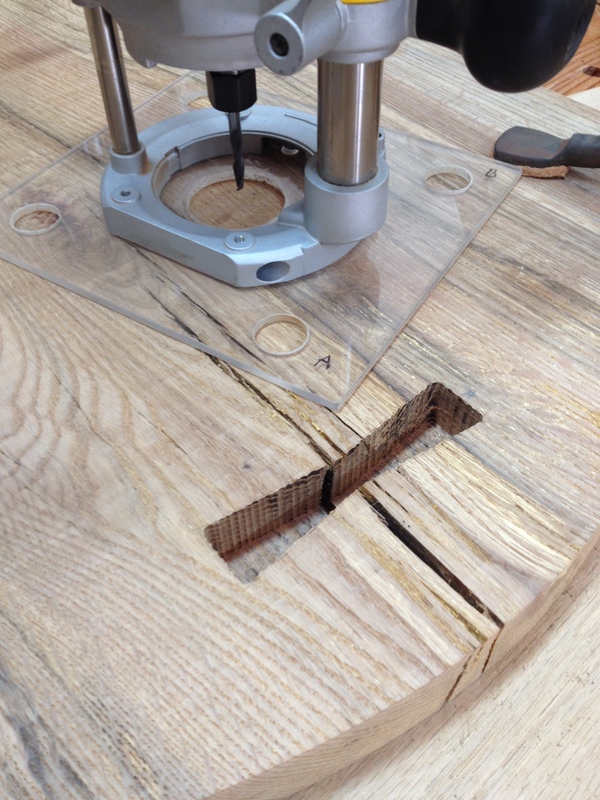 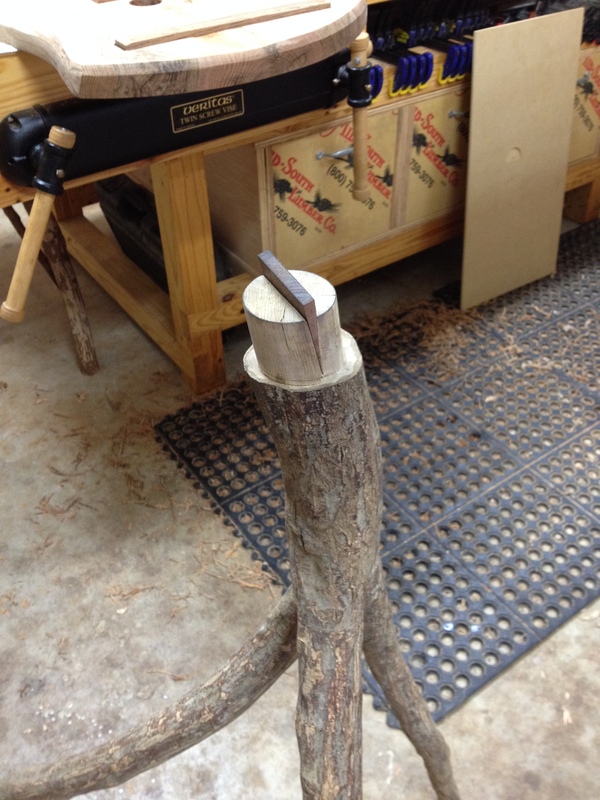 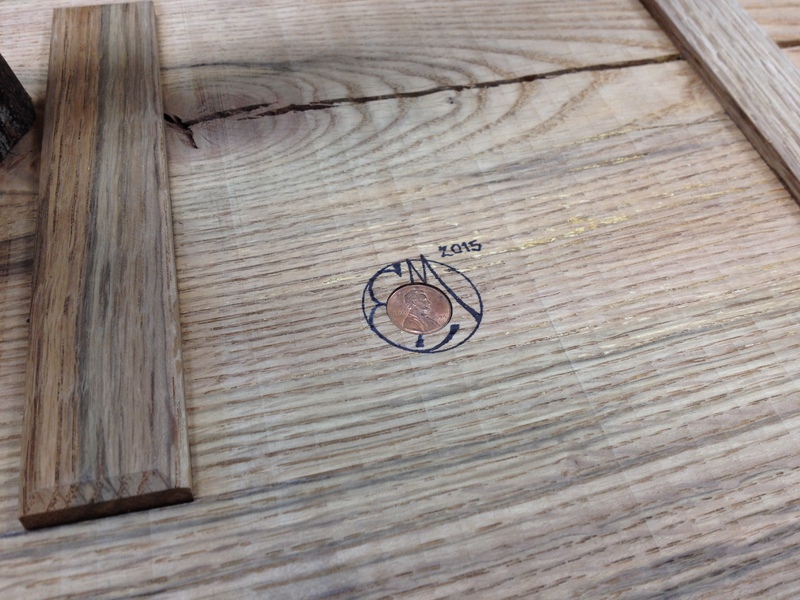 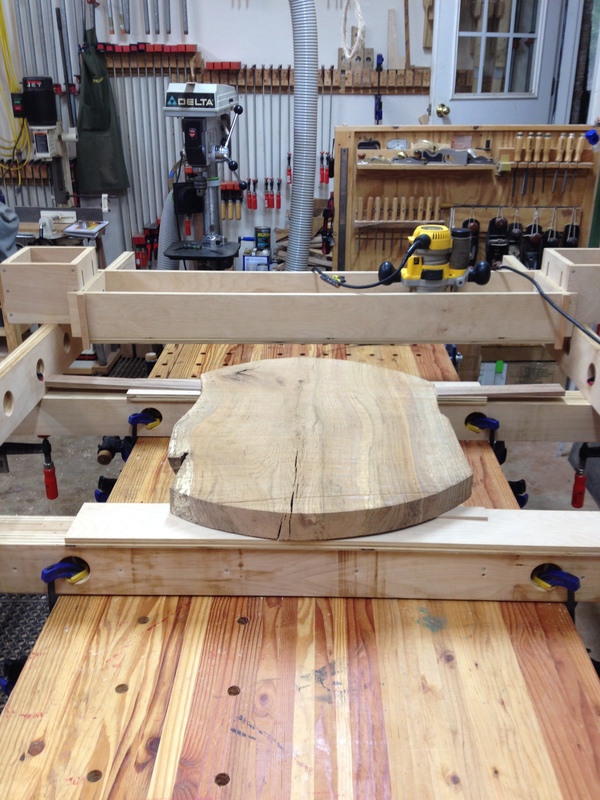 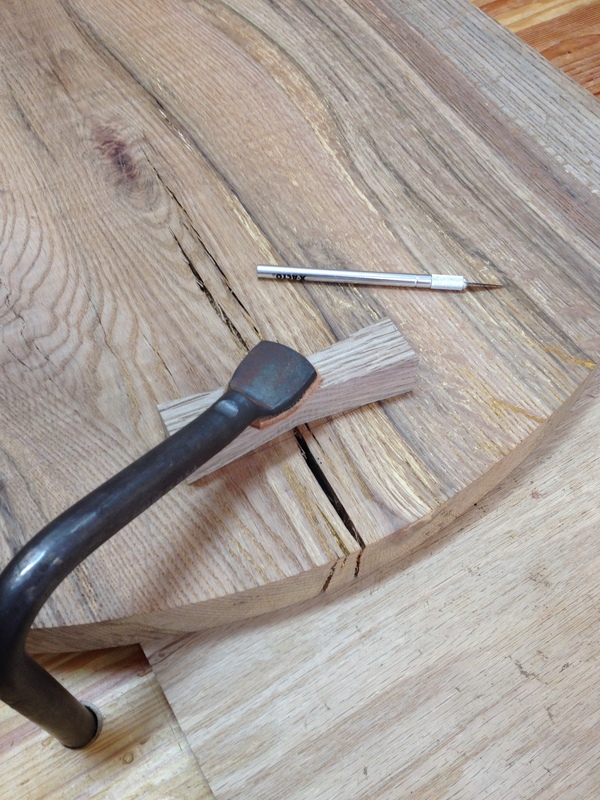 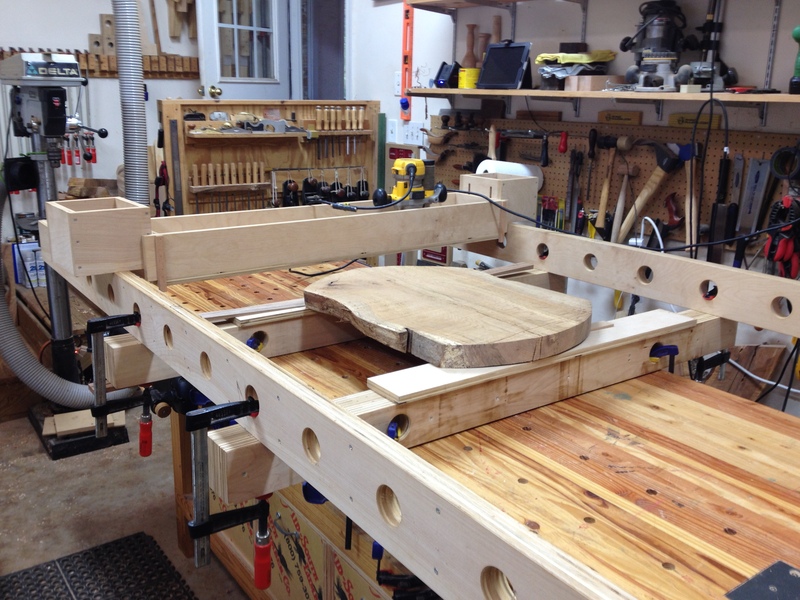 The hand cut tenon is 2-3/8″ in diameter with a wedge to secure it. 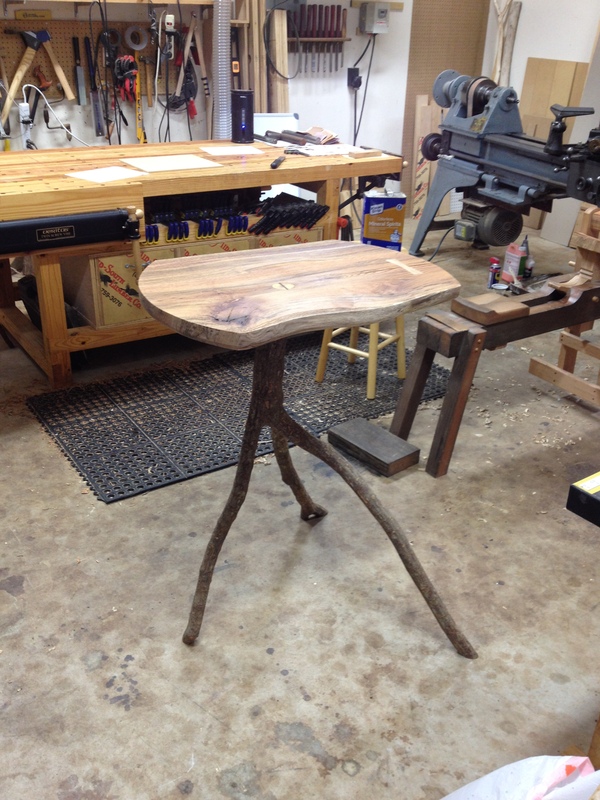 Very fun project to build.